The Gap of Dreams by Altan – This group from Donegal has been around for over 30 years and is still coming out with great music. Tracks rotate between songs in Irish, English, and purely instrumental, both traditional newly composed. (If you follow the link to the Amazon page, notice that the artist is listed as “ATLAN”—a misspelling that hasn’t been corrected in the year the album has been out; funny if it wasn't so sad. Metadata fail.). 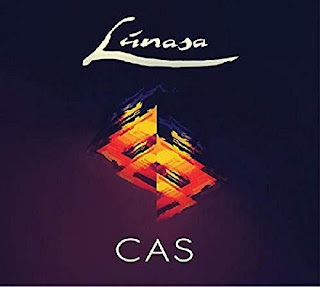 CAS by Lúnasa – This mainly instrumental band has been around for more than 20 years, but hasn’t released new music since 2010. Besides their typical awesome instrumental tracks, the band teams up with some guests vocalists such as Natalie Merchant and Mary Chapin Carpenter. All songs with vocals are sung in English. 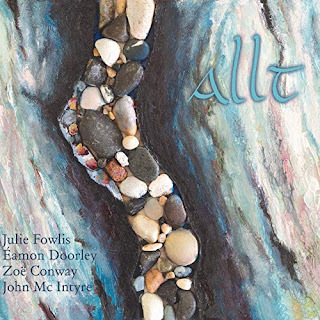 Allt by Julie Fowlis, Éamon Doorley, Zoë Conway, and John McIntyre – Two power couples of Celtic traditional music, one couple from Scotland (Fowlis and Doorley) and one from Ireland (Conway and McIntyre) got together and recorded an album that includes songs from both places, in both Scots-Gaelic and Irish. So, maybe not purely Irish…but you probably can’t tell which are Irish and which are Scottish, right? I am not sure I can. Anyway, it is a great album. Have a wonderful St. Patrick’s Day, and remember to celebrate immigrant populations and our cultural inheritance from them, such as those, like the Irish, that used to be vilified in America. Last post, I presented my top six albums of 2018. But there were plenty of new songs in 2018 not on those albums that I would recommend checking out. I made a Spotify playlist and some brief comments about each track (in no particular order). Kali Uchis: “Your Teeth in My Neck” from Isolation – The production is of this track is exciting (and a little retro), and its theme of wealth and class is equally retro/current. David Crosby: “1967” from Here If You Listen –The Crosby of Crosby, Stills, and Nash is still writing music, and came out with a pretty good album with his much younger touring band. This track's production is a throwback, but comes across as still fresh. Gwenno: “Tir Ha Mor” from Le Kov – Gwenno’s 2nd album is entirely in Cornish, an almost dead language—so remember that writing good pop songs is a good way to make your almost-dead-language relevant again. The song's title means "land and sea." Tune-Yards: “Heart Attack” from I Can Feel You Creep Into My Private Life – This album, written partially in response to criticism about lead singer Merrill Garbus’s cultural appropriation, came out at the beginning of 2017, so I think some reviewers forgot about the album. But it had some great cuts, like this one. Kyary Pamyu Pamyu: “Koino Hana” from Japamyu – I had to throw in a J-Pop song from fashion icon's Kyary’s latest album this year. Oh Pep: “What’s The Deal with David?” from I Wasn’t Only Thinking About You… – An upbeat, funny song about a toxic relationship. Alessia Cara: “All We Know” from The Pains of Growing – The best track from a solid sophomore album from last year’s Best New Artist Grammy-winner. Courtney Barnett: “Nameless, Faceless” from Tell Me How You Really Feel – A solid anthem for the #MeToo movement, describing and reacting to anonymous online comments by men; featuring a Margaret Atwood quote in the chorus. Poppy: “Time is Up” from Am I a Girl? – I love a bit of post-apocalyptic science fiction in my pop music; I for one, also, welcome our new robot overlords. Moira Smiley: “Bellow” from Unzip the Horizon – Written with Merrill Garbus from Tune-Yards, it draws influences from world music and invites women especially to speak up for themselves and their ancestors. Sting and Shaggy: “Crooked Tree“ from 44/876 – You probably missed this, but Sting and Shaggy came out with an album of new music in 2018 (and it was nominated for Reggae album of the year by the Grammys?). The album's music is mostly uninspired, but I have the admire Sting’s audacity to do a reggae album with a Jamaican after making his career doing “white reggae” with the Police in the 1980s. This song was maybe the best, and probably the most Sting-like. Read the NPR review of the album here. So, yeah, still bad at posting on the blog in 2018, but that doesn't mean I have stopped listening critically to music! I listened to 67 albums new to me this year, and 41 of those albums came out in 2018 (and I very rarely listened to an album only once). Here are my six favorite new albums from this year, in no particular order (all images link to the Amazon.com listing). 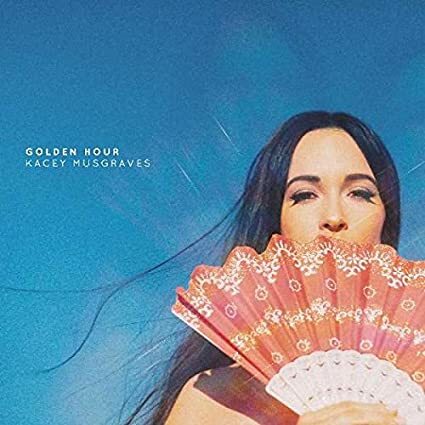 Golden Hour by Kacey Musgraves – Hands down my best album of the year, and I don’t consider myself a country fan—perhaps because Musgraves wasn’t very country-orthodox in her style for this album, mixing in drum machines, disco beats, and tall, jazzy chords. She also uses approachable, clever lyrics, filled with relatable emotion. Golden Hour made most top 10 lists this year and is so solid that I’m not really sure which track to start with—“High Horse,” though, is probably my favorite new song of the year (and has a strong disco influence). “Space Cowboy” is the surprise hit on the album, I think, and succeeds partly because of clever wordplay and poking gentle fun at country stereotypes. The frothiness and comedy of “Velvet Elvis” is a welcome addition. 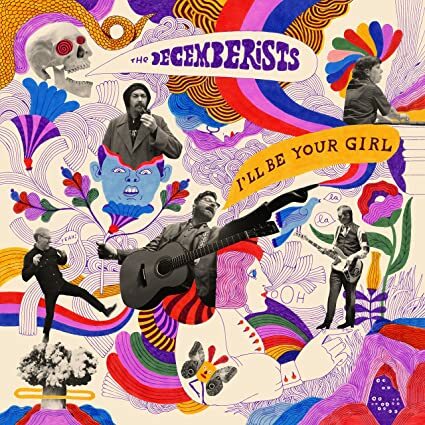 I’ll Be Your Girl by The Decemberists – I count some Decemberists’ albums among my favorites, but there recently has been a dip in quality in their output—so I was surprised when they put out this solid album early in 2018. Their success this time around seems to be channeling their inner emo, angsty, fantasy-loving suburban teenager (despite having passed that stage themselves long ago). The upbeat, chipper “Everything is Awful” is the anchor single, with some fun antiphonal singing. “Rusalka, Rusalka / Wild Rushes” is everything you would want in a classic Decemberists song—epic folk rock storytelling ending in a death (maybe, two?) to catchy tunes. 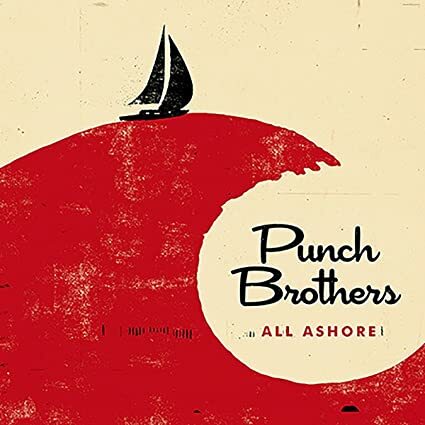 All Ashore by Punch Brothers – Punch Brothers have yet to put out a bad album or EP, and Chris Thile tends to produce better music with collaborators. This group continues to push the boundaries of bluegrass, with innovative textures and song structures, some starting one place and ending in a very different place. The headliner is “All Ashore,” an expansive track that analyzes a seemly-broken family. “Three Dots and a Dash,” on the other hand, is a straight-ahead instrumental that could be from a Nickel Creek album. “Jumbo,” of course, is funny, elbow-in-ribs song about Donald Trump (with plausible deniability). I didn’t buy tickets to the Punch Brother’s live show in Atlanta this year because I wasn’t sure they could keep producing quality music, and then I listened to this album and regretted my decision (but the concert was already sold out). 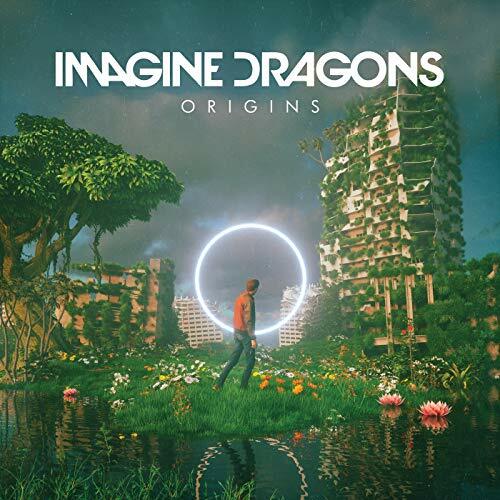 Origins by Imagine Dragons – Last year’s Imagine Dragons album, Evolve, made my best albums list last year, and I wasn’t prepared for another excellent album from the arena-fillers. They continue write catchy melodies and to find and invent new sounds throughout this album. Dan Reynolds’ vocals are somewhat unique in pop—and my theory is that he is taking some of varied word flows from hip-hop and incorporating them into Imagine Dragons' version of rock. Some entry tracks for this album (besides the hit, "Natural") are “West Coast,” where the group shows off their acoustic chops (including a mandolin? ), and “Digital,” whose timbre and style turns on a dime—which I think it kind of the point in a song about “chang[ing] everything.” “Love” is an anthem against the current moment of resurgence of hate rhetoric in the U.S. Not sure what the music has to do with "origins," but cool cover art! El Mal Querer by Rosalia – A critical darling this year by this young Catalan performer, this album got a lot of press for flamenco purists not liking it (though I never actually saw any of those negative reviews). Flamenco, with its showy vocals, fancy guitar playing, and complicated clapping is pretty awesome, and I think it is about time someone mixed it with hip-hop—and Rosalia did it almost seamlessly. Two tracks to sample the mixture is “Pienso En To Mirá” and “Di Mi Nombre.” Supposedly, the album is organized around a manuscript from the 13th century, but I wouldn’t worry too much about that. 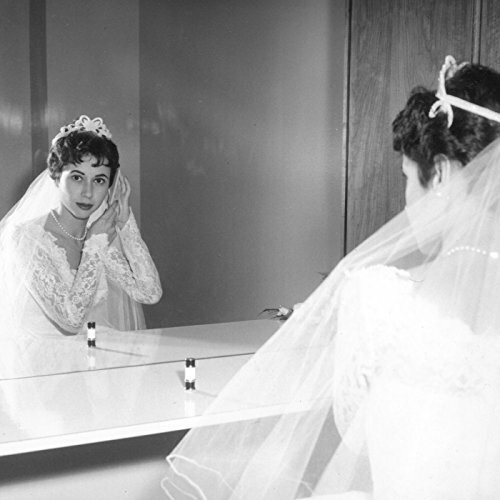 Kiss Yr Frenemies by illuminati hotties – A thoughtfully-produced album (Sarah Tudzin, the brains behind the project, coming from a production background) masquerading as a indie garage band record, it features 11 poignant, well-phrased short stories (some under a minute). Standout tracks include “(You’re Better) Than Ever,” a well-paced post-breakup song, and “Paying Off the Happiness,” a happy Millennial lament about monetary and emotional debt. “The Rules” and “Patience” add some slow poignancy. The occasional semi-voiced vocal stylings, however, while well-intentioned, occasionally grate on my ear. Later this week, I will post my best pop songs of 2018 mix, so get ready.